For nearly two decades, Jason has worked at the intersection of the marketplace and social impact in international microfinance, venture philanthropy, and community and economic development. In 2016, Jason joined Facebook to launch the company’s first supplier diversity program and create more opportunity for diverse-owned firms do business with Facebook and the people and communities that Facebook connects. 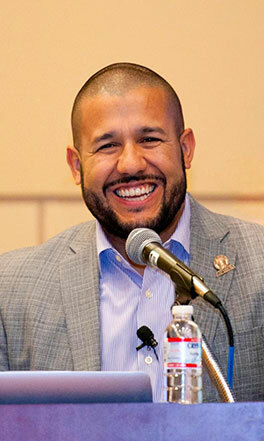 Prior to joining Facebook, he designed and led the community impact initiatives for Super Bowl 50, resulting in more than $20 million in grants for Bay Area nonprofits and contracts for local, diverse-owned businesses. Jason was formerly a Managing Director at REDF and is the founder of Trimiew Strategy Group, a consultancy that helps clients develop, implement, measure, and scale products and programs that produce results for good. Jason earned a bachelor’s degree from Covenant College, a master’s degree from the University of San Francisco, and has completed the Executive Program in Nonprofit Leadership from Stanford University’s Graduate School of Business.